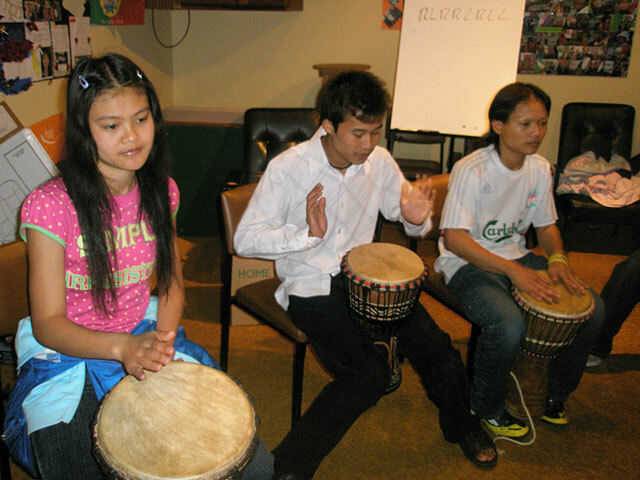 Mayo Intercultural Action (MIA) held drumming workshops every Monday night over the summer months at their centre during the summer months of June, July and August. The workshops were a huge success, and were thoroughly enjoyed by everyone who attended. A wide range of cultures and nationalities participated in the workshops and there was great sharing, learning and fun had by all. 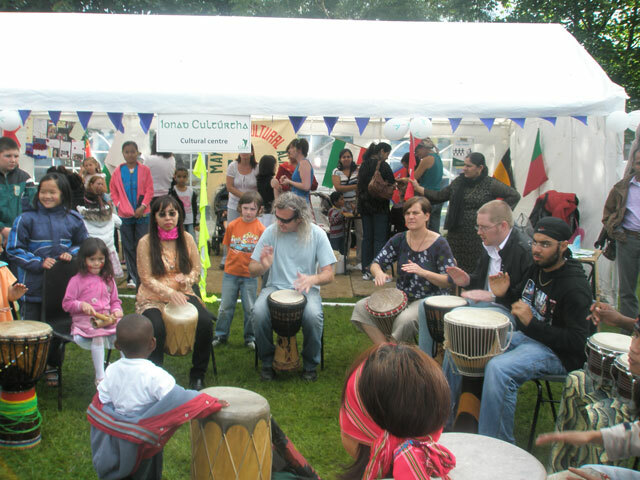 Anthony Mc Namee facilitating the drumming sessions. 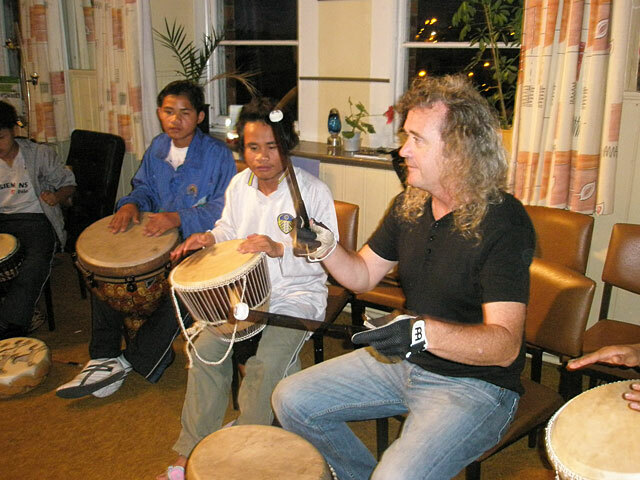 The sessions were facilitated by Anthony McNamee, a musician and drummer from Westport. The broad range of techniques and styles from Nigeria, Cuba, Morocco (to name but a few) were met with great enthusiasm. The group performed at the Community Festival Castlebar on Saturday last and was thoroughly enjoyed by everyone who participated and of course the spectators. MIA Drumming Group at Féíle on the Mall. Participants from the Karen Community attending the drumming sessions. If you want to find out more about upcoming events at Mayo Intercultural Action, please contact MIA at 094 904 4511 or miamayo@eircom.net Or why not drop in to our offices in the Social Services Centre, Castle St. Car Park (behind Archway Stores), Castlebar to say hello.